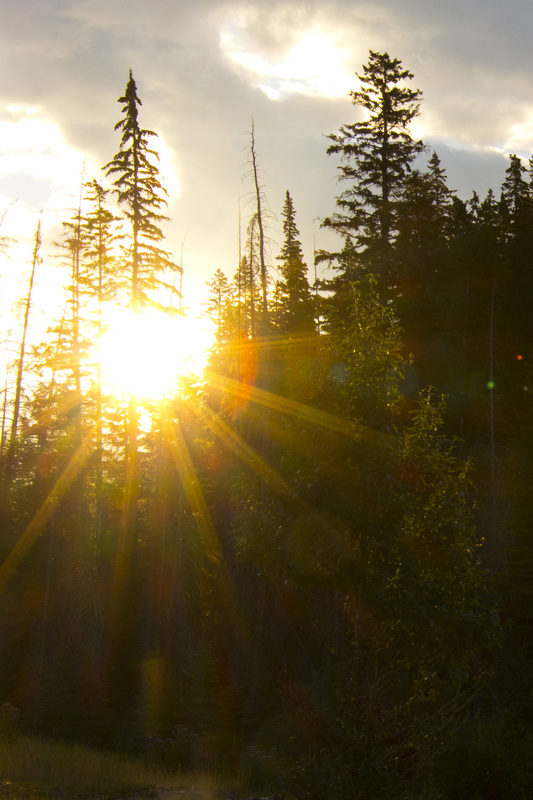 Alas, I couldn’t stay – I was on a road trip in Alberta, Canada. 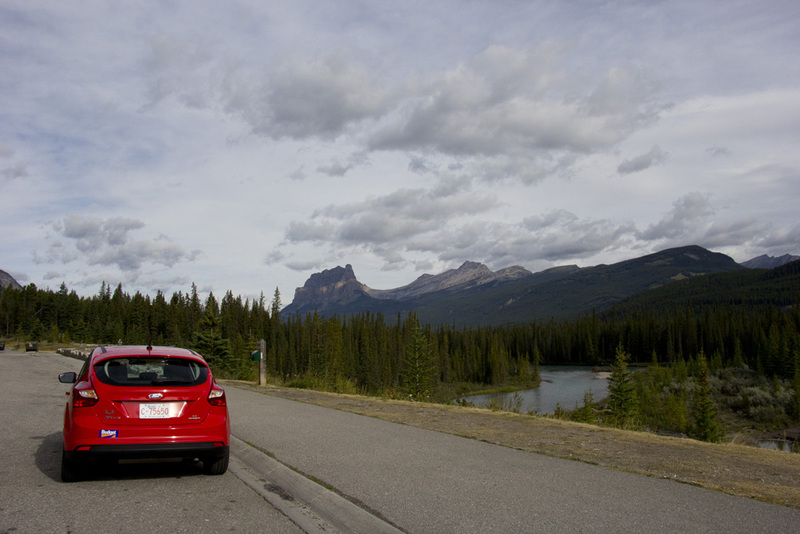 After a few days enjoying the luxurious spoils of the Fairmont Banff Springs Hotel, I was alone on the road exploring the stunning Canadian Rockies in Banff National Park. It wasn’t a long road trip as I could only spare one day, but it was a perfect taste of mountain clean air that my city life severely lacks. 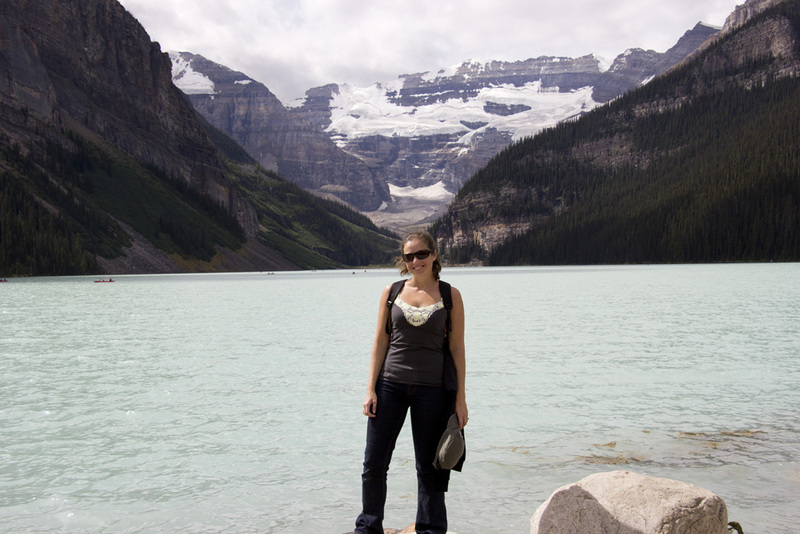 I planned on visiting a couple of places in the National Park, but my first and most anticipated stop was Lake Louise. 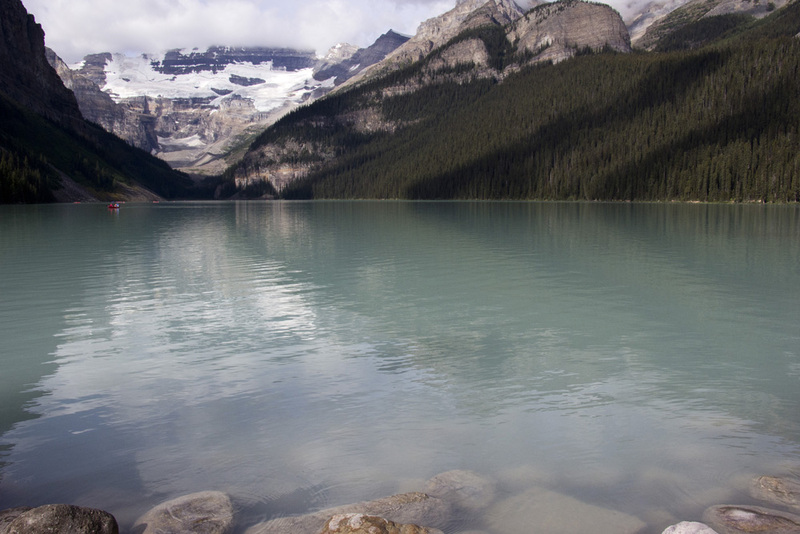 Lake Louise is probably the most famous of the lakes in the Canadian Rockies. Perhaps it is due to its accessibility from the town of Banff (my drive only took about 45 minutes), or perhaps it’s because the castle-like railway hotel The Fairmont Chateau Lake Louise sits at its edge. 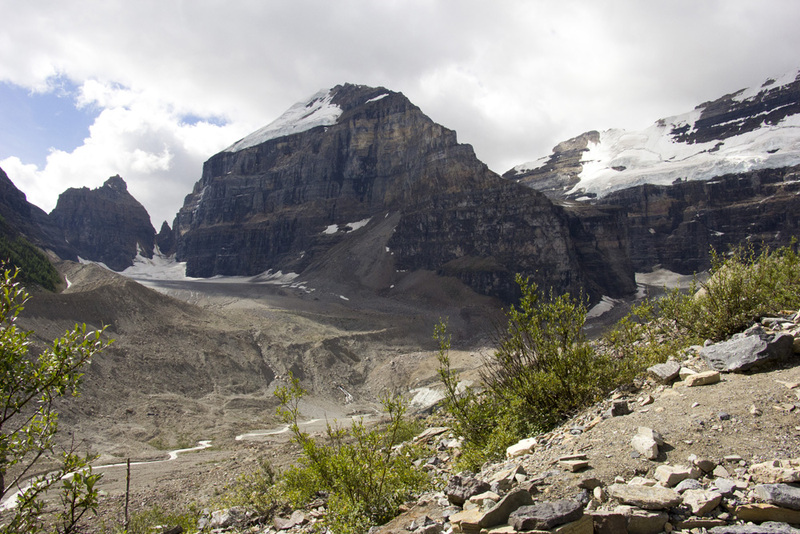 Whatever the reasons, Lake Louise is a bit of a poster child for the Canadian Rocky Mountains. 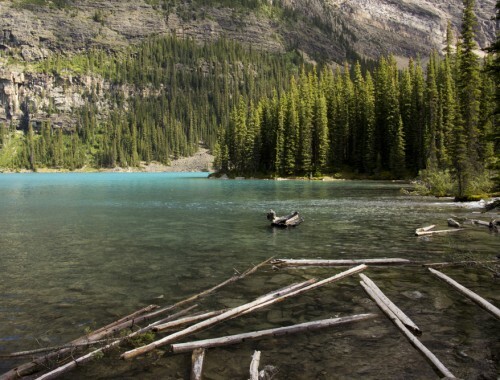 Perfectly arranged glacier capped mountains are the lake’s backdrop and milky spa blue water make it special – even for this area of Canada, which is home to a plethora of other lakes. I couldn’t wait to see Louise with my own eyes. 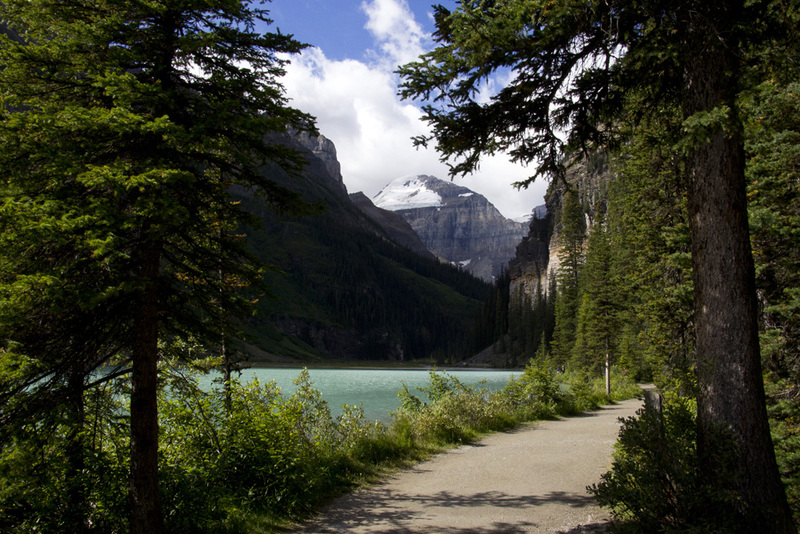 I decided I would hike the 1.9 kilometer Lake Louise Lakeside Trail – one that is flat, easy, and populated. I wouldn’t get lost, I wouldn’t get lonely, and I’d be treated to consistent beautiful views of the lake, the mountains, and the hotel. 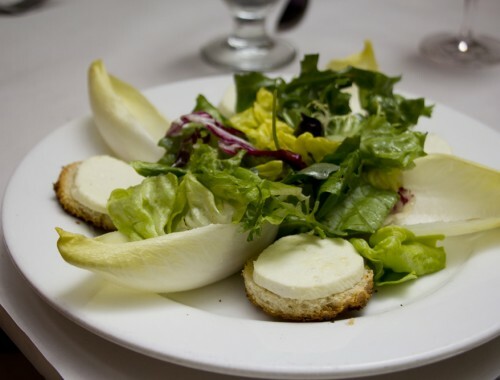 Soon after I started, I knew I was going to want more. The views and landscape just kept getting more and more enchanting the deeper I traveled. So I continued. 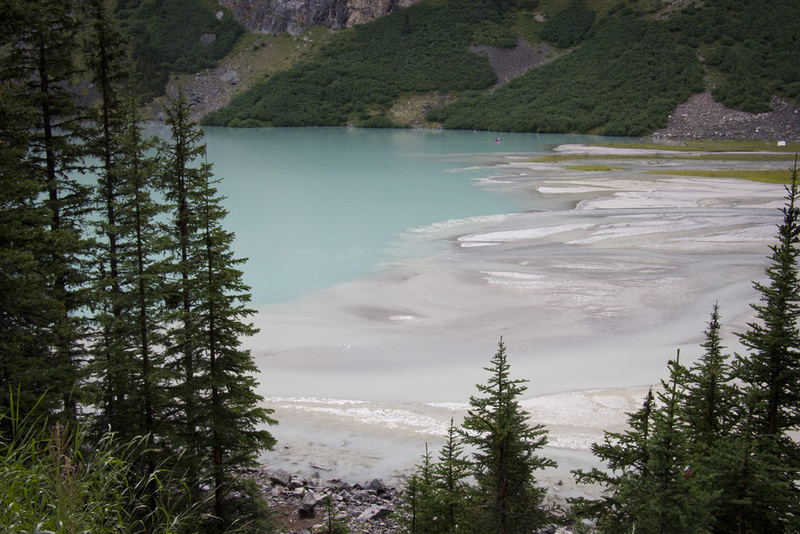 I wandered beyond the lake, up into the trees, along cliff sides, and through scree. 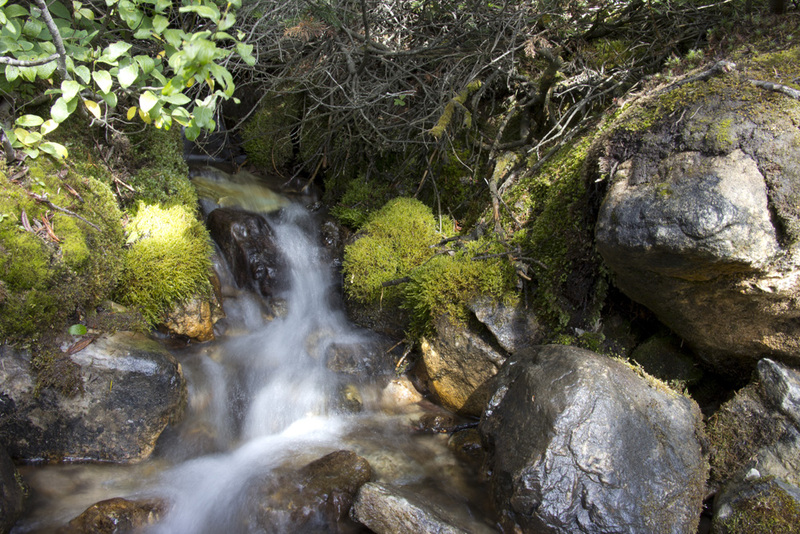 I climbed next to rivers and through dark wooded passageways that whispered reminders that I was hiking alone. Even so, I always felt just a few steps away from being able to touch the mountains in front of me, so I kept walking. 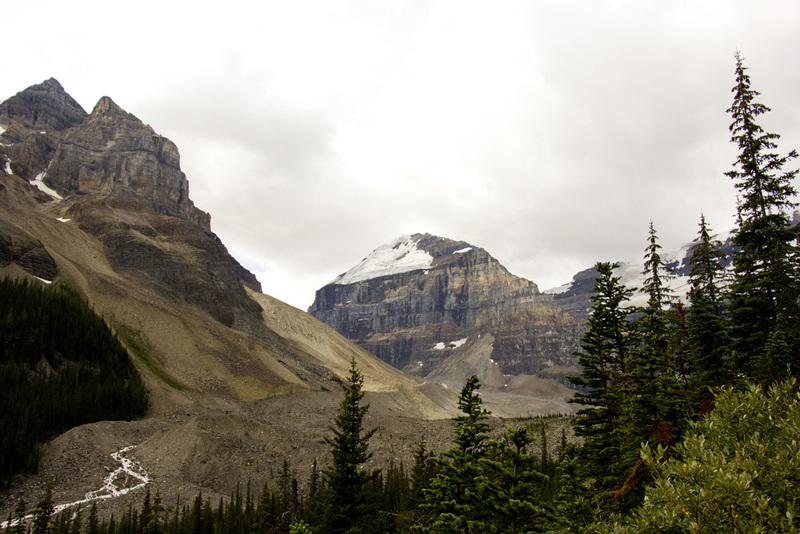 About two hours later, I suddenly found myself on the home stretch of the 13.6 kilometer Plain of Six Glaciers hike – quite a long way from the lakeside trail I had originally intended to tackle. It wasn’t a difficult hike, probably moderate at most. And thanks to the serenity and natural beauty, the time had passed so quickly. How did I celebrate my achievement? 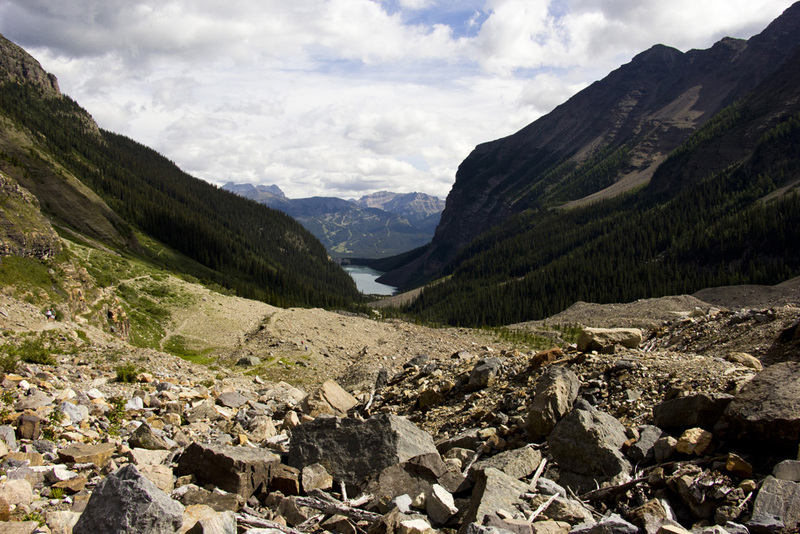 I walked back down to Lake Louise, found a comfortable spot on the rocks, and gazed back up at the mountain valley I had unexpectedly visited. Looking around at other visitors snapping photos of the lake from the hotel’s deck, I felt that I knew something they didn’t. I felt like I knew her, Lady Louise. She would always be in my pocket. 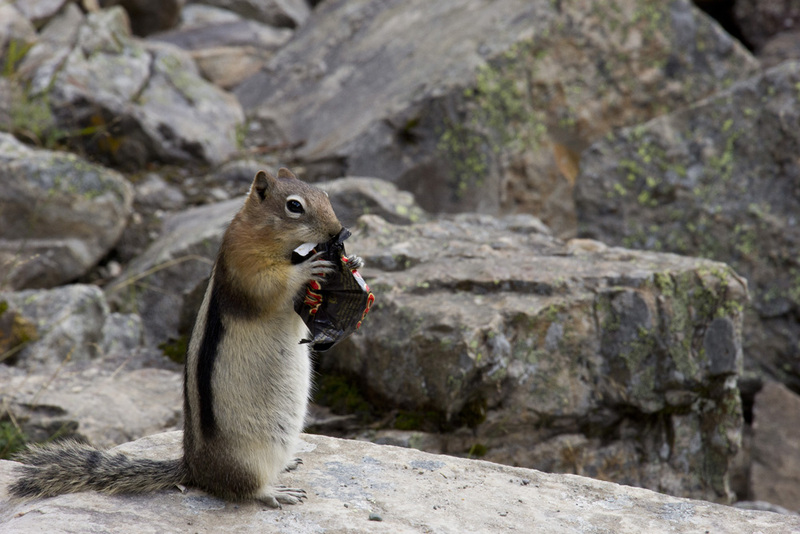 *Lake Louise: The parking lot gets very full very fast, especially on the weekends during high season (summertime). Try to arrive early to avoid any issues. 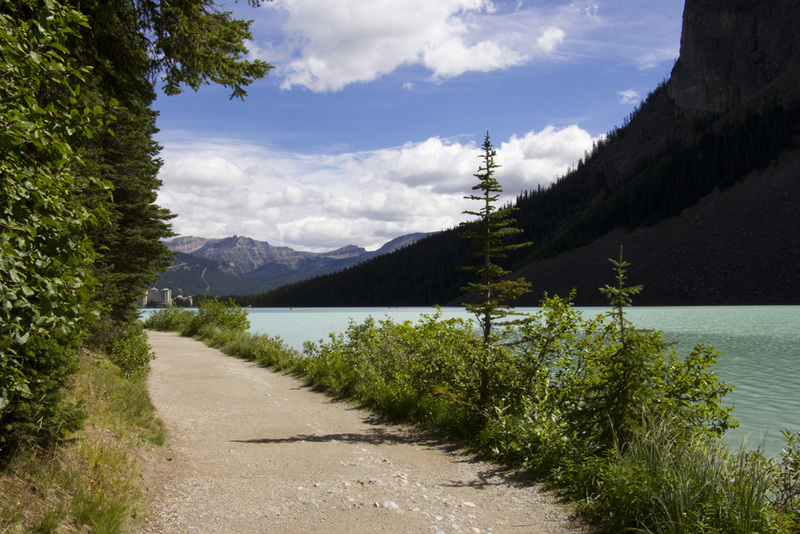 *Lake Louise Lakeside Trail: This trail really easy and totally flat so you can do it even if you are out of shape or so not into hiking. 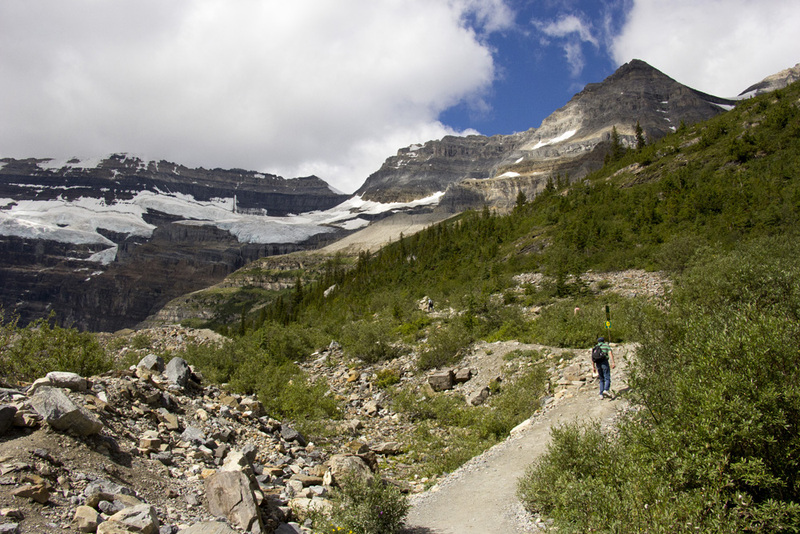 *Plain of Six Glaciers Hike: This trail is more moderate and does climb a fair amount of vertical height. It takes about 4 hours to complete the whole trail, roundtrip. But it is so worth the effort. There is even a tea house at the top that serves snacks and refreshments.